Thank you for supporting my patterns and fabric, for reading my blog, and most of all for your wonderful and encouraging blog comments and emails. It all allows me to keep bringing you fun quilty projects for your stitching pleasure. My Letters From Grace quilt made with all of the fabrics from my new Tall Grass fabrics is bound and ready for cuddling. 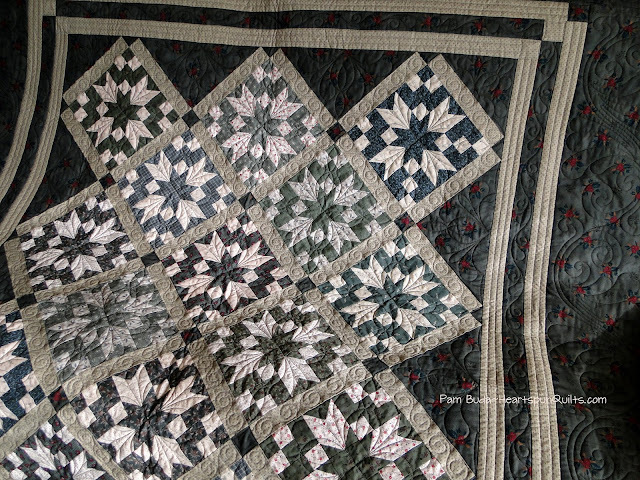 My quilter friend, Ronda, added her magic and made the quilt all the more special. 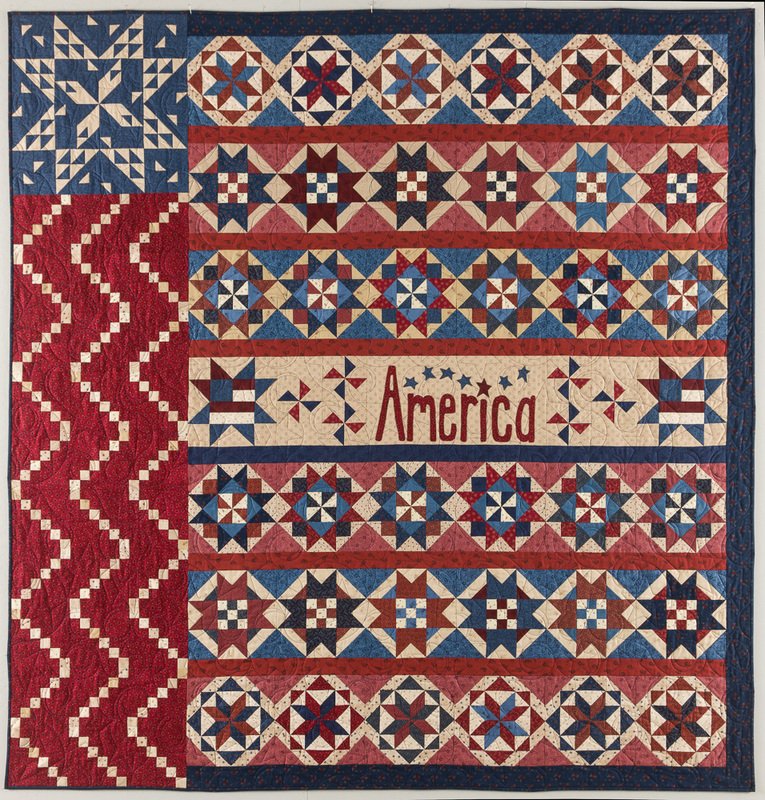 If you're like me, you're always looking for quilting ideas, so I though I'd share what we chose for this quilt. When designing Tall Grass, I made sure to have a nice range of greens from lights to darks and some with added colors and textures. For some reason, green is a color that we use a lot, especially in applique, but is a color that is not always available in a nice range on shop shelves at any given time....so...be sure to add some to your collection! Tall Grass will be delivered to your local quilt ship in January....just a few short weeks from now. Yay....I can't wait! The hustle and bustle of the season is well upon us and I'm sure you're making last minute preparations for the holiday festivities. My daughter Nicki and I bake loads of cookies and make up trays of assorted cookies for our family and friends. This cookie, Chocolate Walnut Crumb Bars, is one of my favorites, is super easy to make, even at the last moment when time is short. Let's face it....it's good anytime of year! Click here for the Chocolate Walnut Crumb Bar recipe. It's full of chocolatey goodness! My studio is closed until next week so I can just concentrate on enjoying the holiday. Today, we will spend the day in the kitchen (as most of us will) making the last two cookies, and preparing to make two pans of my great-grandma Battaglia's lasagna. Oh my goodness...it's wonderful, but loads of work. While I'm in the middle of it all, I may as well make two pans and freeze one to enjoy later. The house will smell sssoooooo good! Hoping all your holiday plans are full of yummy food with family and friends. Enjoy the holiday...no doubt you've worked hard to make it all happen. Tall Grass Will Be In Quilt Shops Soon! In just a few short weeks, my newest fabric collection, Tall Grass, will arrive at your local quilt shop. Eleven yummy shades of green prints accompanied by seven assorted light prints round out the collection that are sure to be a welcome addition to your stash! Click here to see all of the Tall Grass prints. 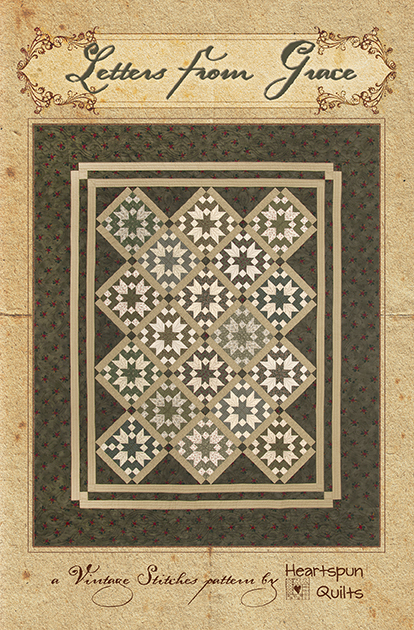 I remade my Letters From Grace quilt pattern using all the prints in the Tall Grass collection. 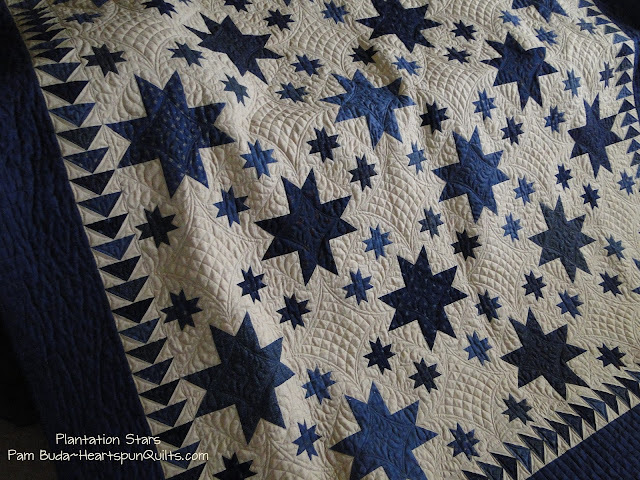 I'll post more photos of the quilt, the quilting and the fabric collection in a few weeks when they arrive here. Please ask for Tall Grass and my Letters From Grace pattern at your local quilt shop. SO important to support your local shop!! Any surprises in those stats for you? I am surprised that only 24% made patriotic projects. I would have thought that much higher. 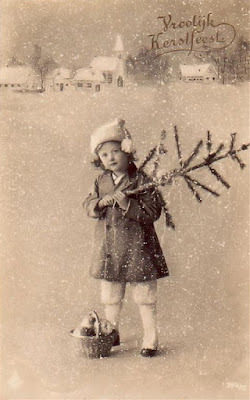 Off to bake a batch of cookies! 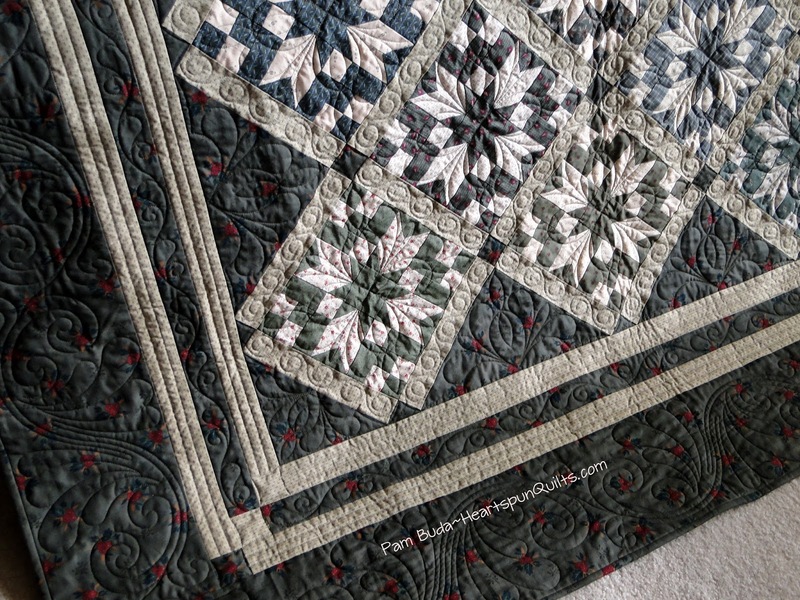 I'm so happy to report that my new Pieceful Pines Block of the Month quilt top is pieced and now in the hands of my friend and quilter, Ronda. We have chosen the designs for the quilt and she's adding her magic. (More photos when the quilt returns home.) 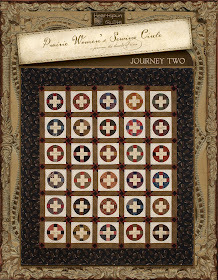 In my haste to get the quilt to Ronda, I failed to take photos of the quilt blocks to show you. Geez, I hate when I forget important things like that....but, oh well. What can I do? I made an extra block to show you how cute the Pine Tree blocks are. Hope you like it. 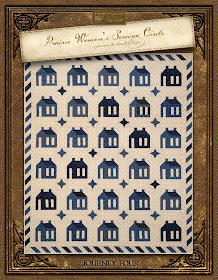 The Pieceful Pines fabric collection is now on the Marcus Fabrics website. Click here to see all the Pieceful Pines prints. The quilt measures 80" x 80" and is an 8 month program. 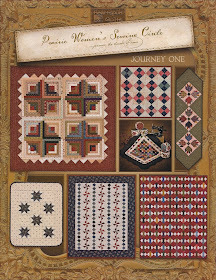 Please ask for Pieceful Pines at your local quilt shop!! Program begins in April, 2018 and is finished in November. Perfect timing as it's just in time to have it quilted for cuddling under next Christmas! 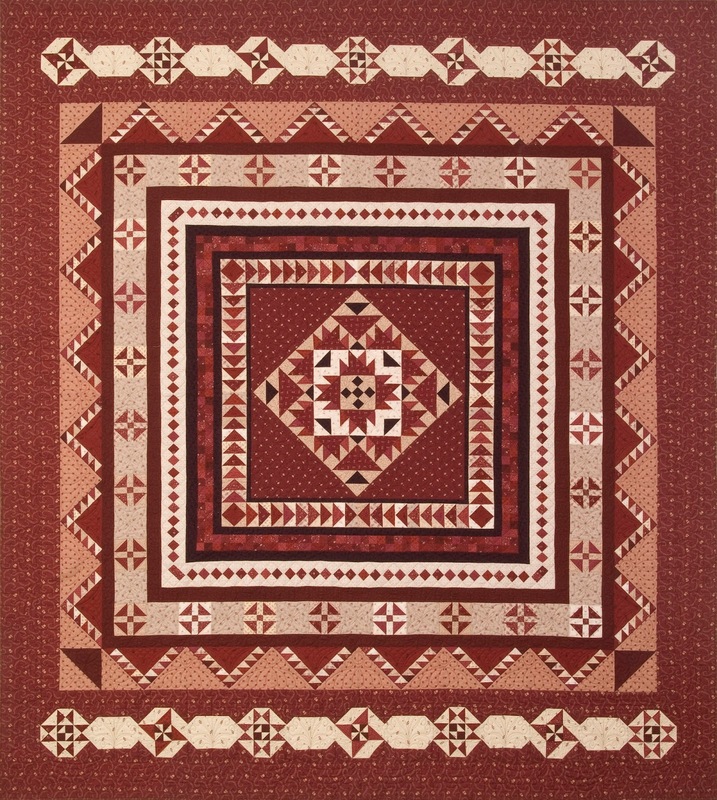 I am curious about the seasonal quilts we all make. 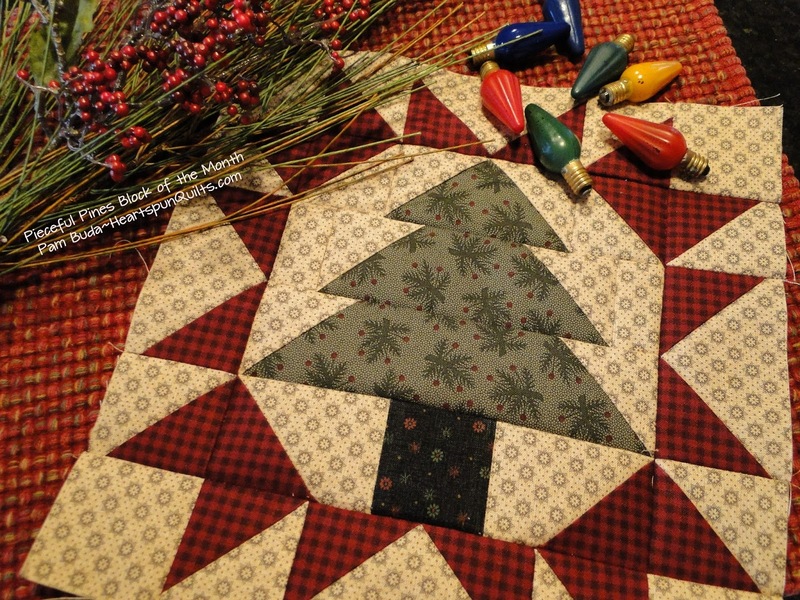 Are you like me and wish you had more seasonal quilts when it's time to celebrate a season or holiday? We all suffer from so-many-projects-so-little-time that we just can't make them all. I know this last Halloween, I wished I had more black and orange quilts to display, and the same thing is happening now with Christmas. So....I added a little poll to my blog sidebar. 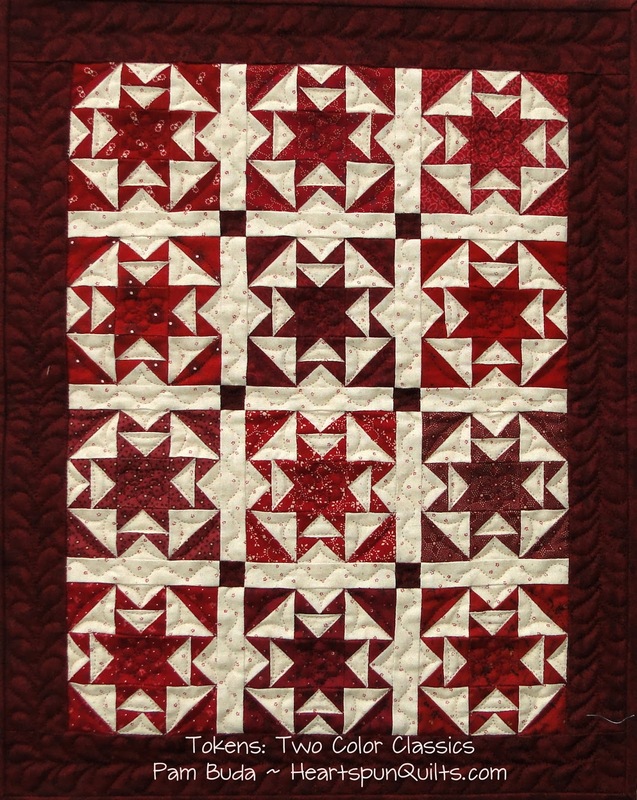 I'd love to hear which holidays you celebrate with quilts!! You can click here to vote - just look for the poll at the top of the right-hand side bar. I'll post the results on Monday. In the meantime, I hope you are getting to enjoy every moment of this holiday season! 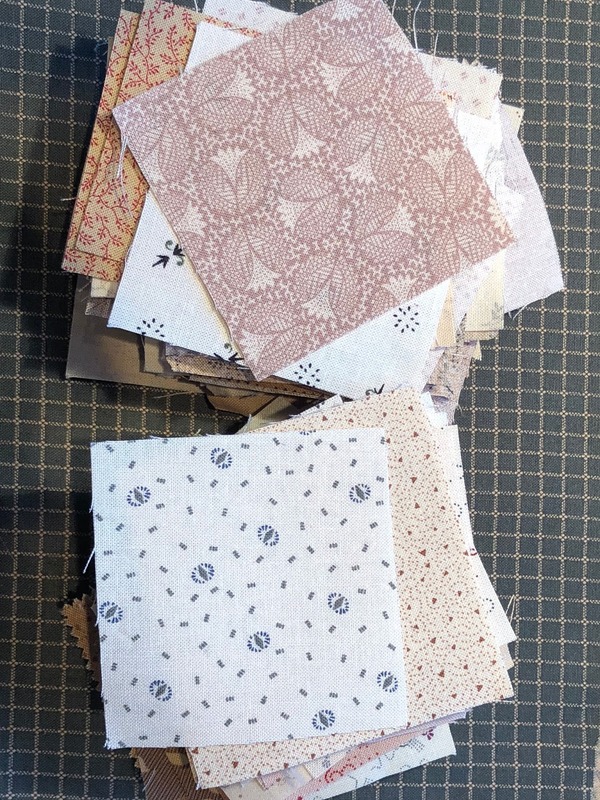 Pieceful Pines Sample Fabric Arrives! The doorbell rang last Friday and a yummy package was left on the front porch. My sample yardage for my newest fabric collection, Pieceful Pines arrived!! Let the sewing begin! Here's a first look at all the prints in the collection. Being the traditional quilter that I am, I'm not a person who enjoys "Christmas print" fabrics with Santas and big snowflakes and the like. I prefer to stick to the historic prints I love to make my holiday quilts...the same way our 19th century quilting ancestors did. I do look for prints that will reflect the feeling of the season, but could easily be used in a another quilt for any purpose. As usual...the colors are somewhat off due to my talent for taking poor photos. Is there a magic camera that will help me? I should ask Santa about that! I have to admit that it's really fun to be piecing a holiday quilt during the month of December. Christmas is everywhere and I sure have the holiday spirit going on in my studio. I'll be sure to post some photos of the blocks very soon. Hope you like the fabrics! 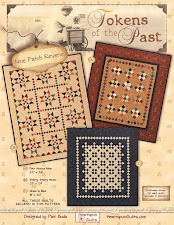 My Pieceful Pines Block of the Month will begin in April, so please ask for it at your local quilt shop. In the meantime, when I have a few minutes here and there, I am piecing tons - TONS - of these little Two Patches. One inch squares. I have a future quilt in mind for these babies! Thanks to everyone who took the time to participate in my little Half Square Triangle poll. So very interesting, I think. 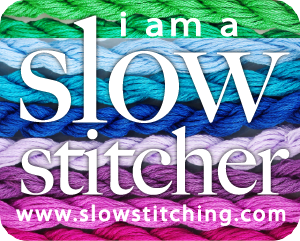 Make some time for stitching....you know you want to! If you're like me, you make hundreds, if not thousands, of Half Square Triangles in a year. 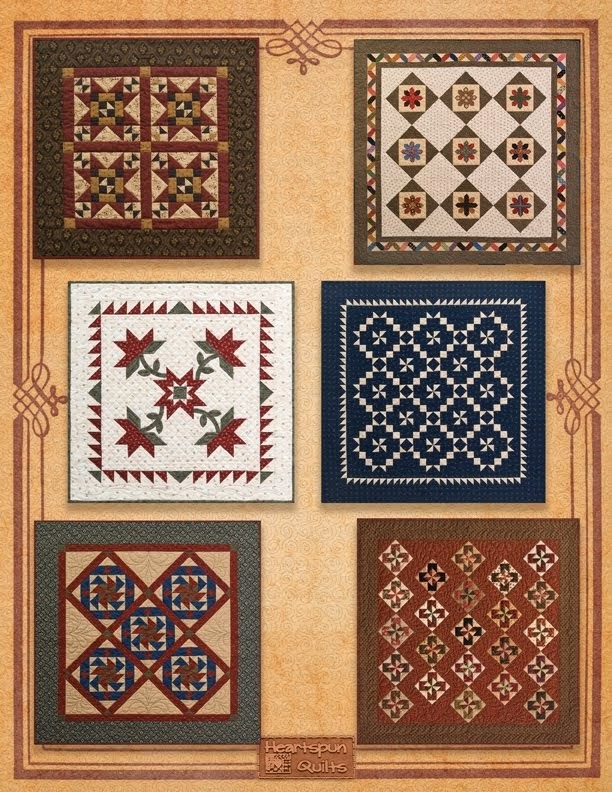 They are an essential block in many of my quilts. I love them and don't mind making them at all since I began making them larger and trimming them down many, many years ago. 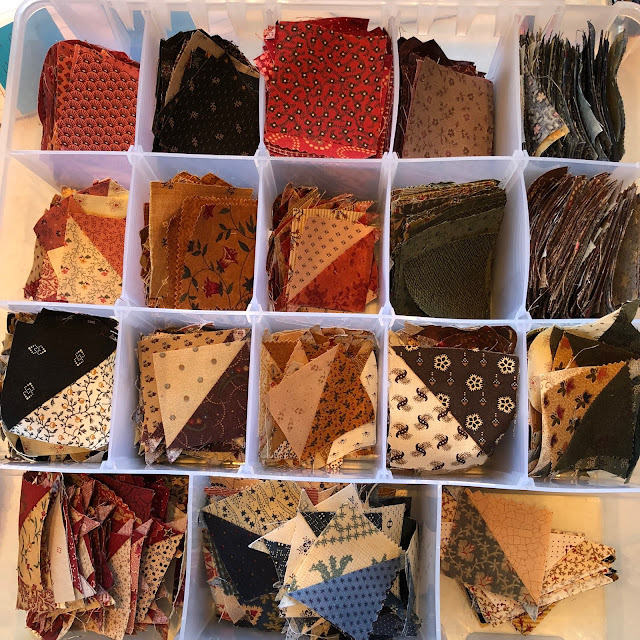 The truth is they are a staple of my designs, and I have future projects planned using tons of them, so I keep an ongoing flow of scrappy Half Square Triangles through my machine. While working with the fabrics of other projects, I always cut 2 1/2 inch squares of whatever light and dark prints I'm working with and add them to the ongoing pile. I sew them Leader and Ender style (thanks, Bonnie!) and can accumulate a big pile fairly quickly. If I'm organized (and truth be told, I have not been lately! ), the HST's go into this bin sorted by color. From here, they can be trimmed to whatever size I need. I love, love, love blocks I can trim to perfection, and this is my tool of choice to do just that. If you're not familiar with the Bloc Loc rulers, they are wonderful because they have a channel carved out of the ruler which accommodates the bulk of the seam allowance. It "locks" onto the seam which makes it stable, and the ruler doesn't rock back and forth on the seam when you're trimming it! Wonderful! 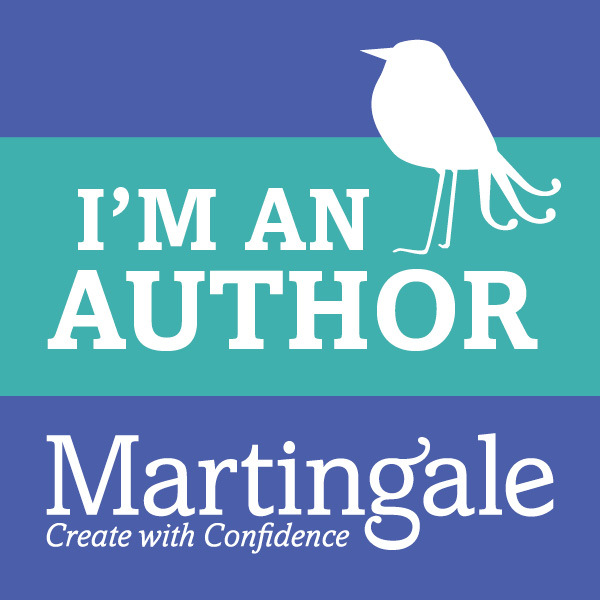 The other thing I love is how easy it is to read, and it trims any Half Square Triangle in 1/8th inch measures to any size smaller, making it a great value. I strive to be a precision quilter and this tool gives me great results. I don't like a whole lot of notions and rulers, but if it really performs, is versatile and not too expensive, I'm all for it. That said.....if you get great results you're happy with using papers or piecing the traditional way, don't change a thing!! 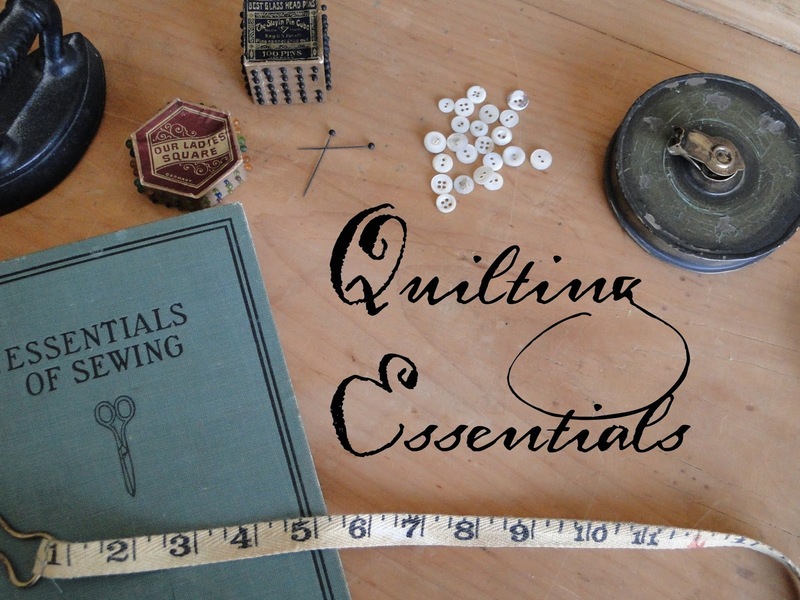 I'm not affiliated in any way to Bloc Loc, and the hints I share in my Quilting Essentials posts are just my opinion. 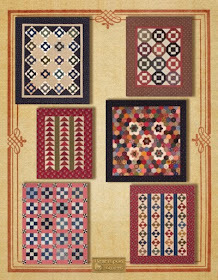 If you'd like to give Bloc Loc rulers a try, please ask for them at your favorite local quilt shop! It's so very important to support your local shop. If you can't find them there, you can find them on my website. Click here to read more about the Bloc Loc rulers. 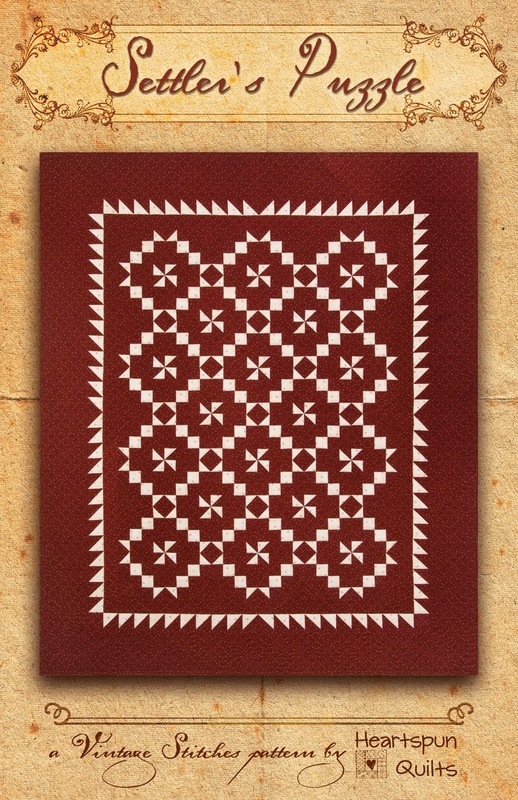 And....I am curious to which method is your favorite for making Half Square Triangles? Hope in some way the information I have shared will help you. Your comments are welcome and if you have something you'd like me to write about in future Quilting Essentials blog posts, I'd like to know that as well. Cleaning House Is A Good Thing! I received a call from the good folks at Marcus Fabrics to say they were doing some housekeeping and found some treasures!! They found a couple of A Prairie Gathering complete kits!! 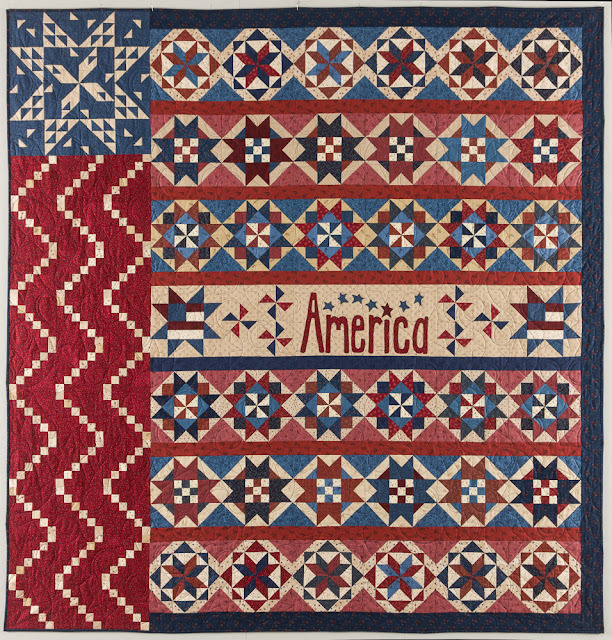 They also found a couple of Star Spangled Liberty complete kits!! WOW!!! What treasure to find! If you missed your opportunity to participate, you now have a second chance to grab one of these rare finds for yourself. 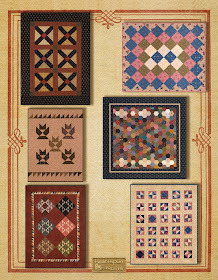 They are specially priced, include all of the original fabrics and also include the complete pattern set!! Quilt market was fun. 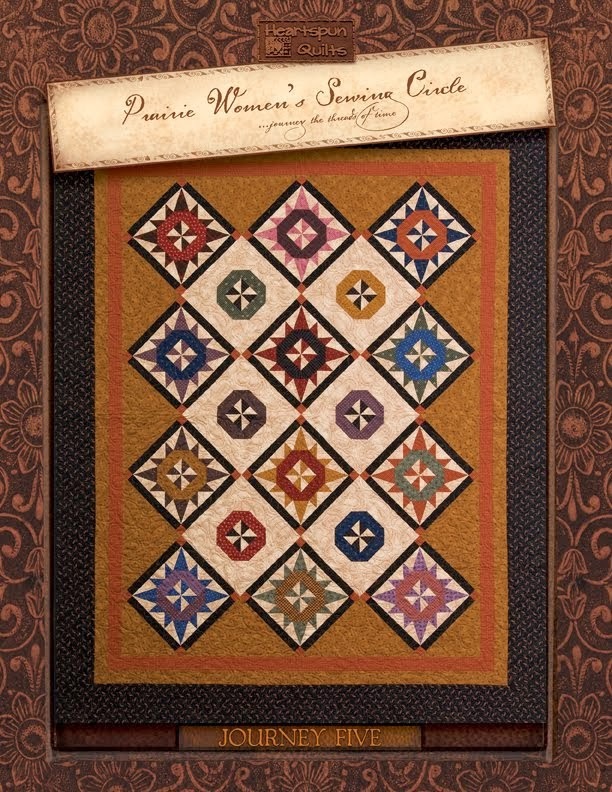 It's always great to go to see all that is new and wonderful in our world of quilting. This is the Marcus Fabrics booth. I was in the next booth to the left. One of the most fun parts of being at market is getting together with my sister Marcus designers! I am so jazzed to be ale to share the news of my brand new 2018 BOM called Pieceful Pines! Pieceful Pines made its debut and I'm happy to report was well received! Yay!! 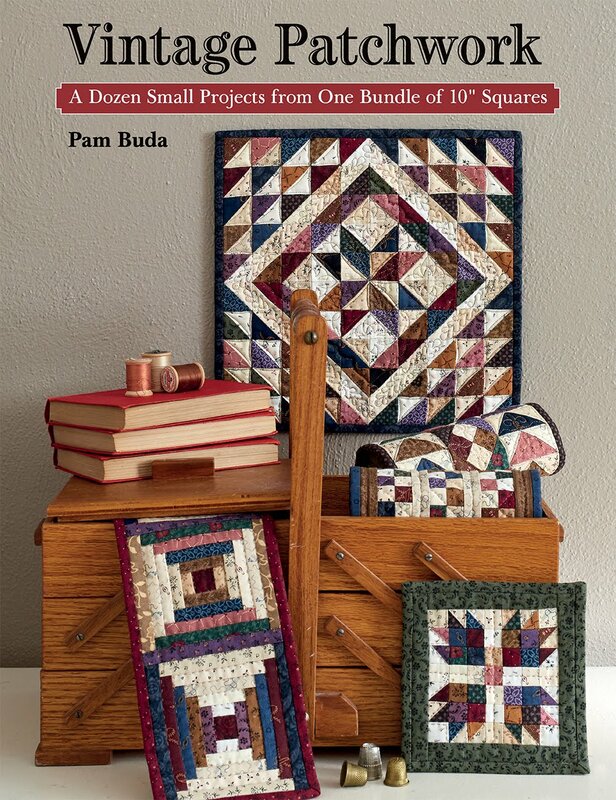 This new BOM program will begin March of 2018 so ask for it at your local quilt shop. Stay tuned right here for more news on Pieceful Pines as I complete the program. I will have fabric to show you early in December. I returned home for one day to repack luggage and pack the car for a guild visit in central Illinois. I had a great time there with a truly friendly group of ladies. Lots of fun! I came home only to awaken with a bad stomach flu and severe headache that kept me in bed 4 days (had flu shot 2 weeks earlier!) YUCK!! I hate being sick. I lay in bed thanking my lucky stars I didn't catch it when I was away from home (that would really be horrible! ), but also lay there thinking of the thousand of things I had to do. On the mend and back to work!! Life happens....that's all I can say. 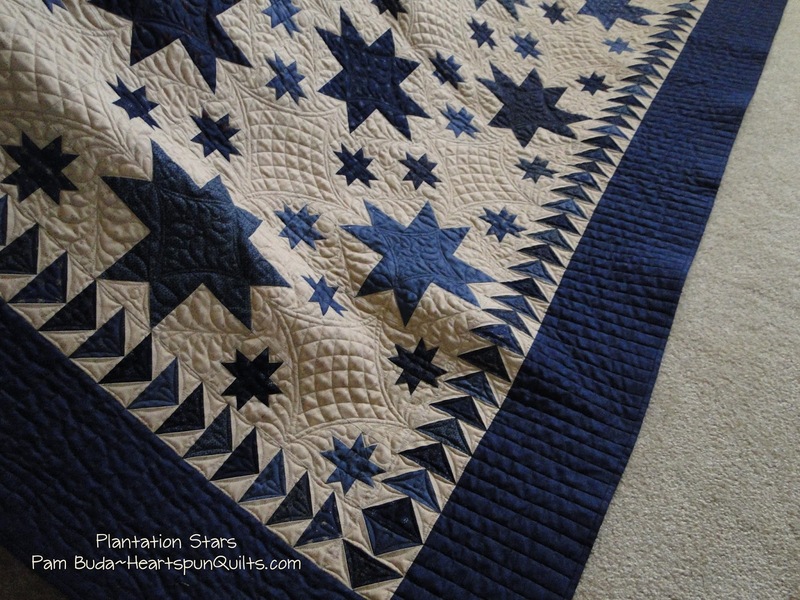 It seems like it took forever, but finally.....I'm so happy to announce that Plantation Stars is ready to ship. And...it was SO worth the wait!! 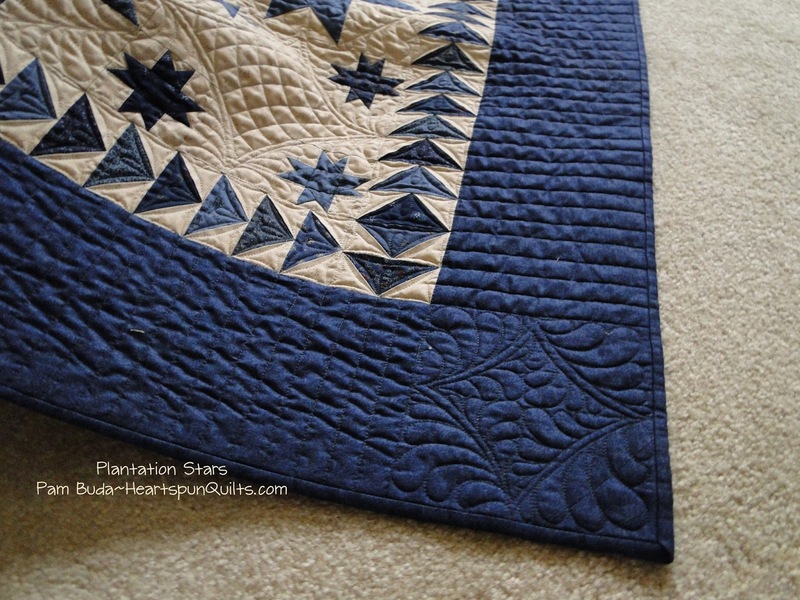 Plantation Stars was quilted by the fabulous Val Krueger!! I could not be happier with all the designs she chose for this quilt. These photos were taken just before I left for Quilt Market, and it was a very rainy day. I didn't add any light or flash so the quilting would really show, and it does, but it makes the blues look very dark. i just love how the little stars create a circle around the large stars. And...the open space was crying out for Val to work her magic!! 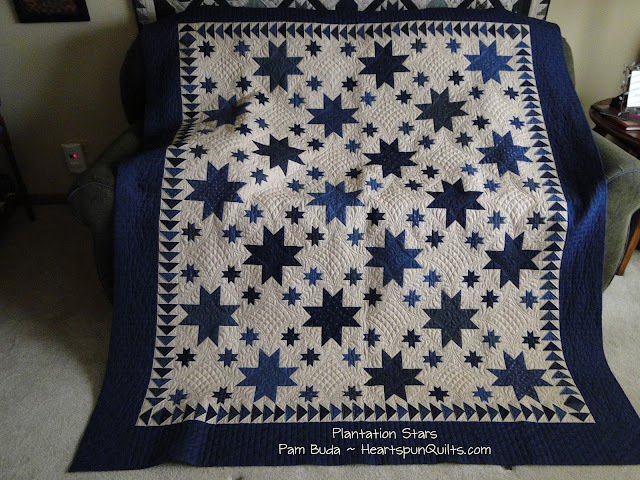 Plantation Stars patterns are ready to ship. Click here to order the pattern. 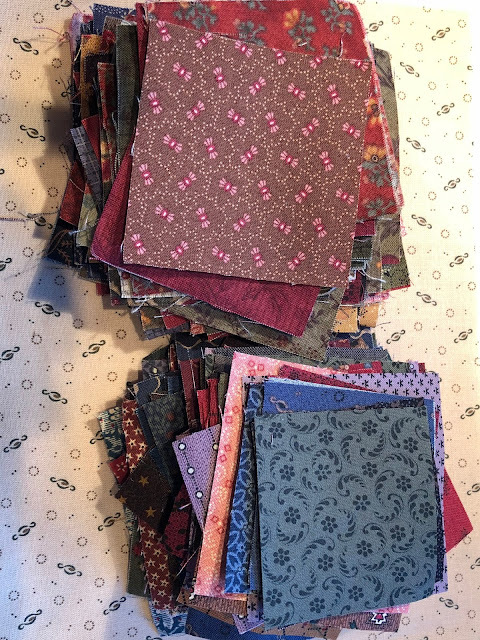 I also have a limited number of kits, with all the same fabrics I used in my quilt. 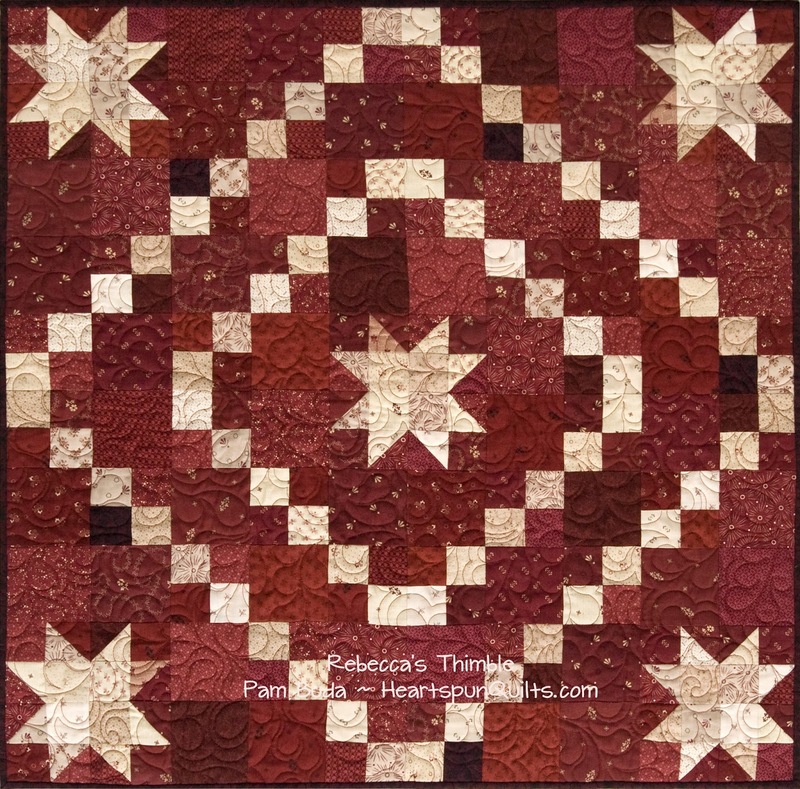 The kit includes the pattern and all fabrics needed to make the quilt top. Click here to order the Plantation Stars quilt kit. I'll post some pictures of Quilt Market in my next post. In the meantime, enjoy your day, and make it all the more enjoyable by finding just a little time to sew. 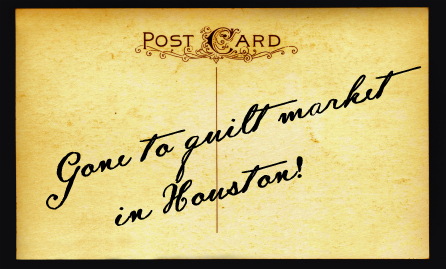 Off to see all that is new in the quilting world at Fall Market in Houston. I'll try to post lots of good stuff to Instagram and Facebook. 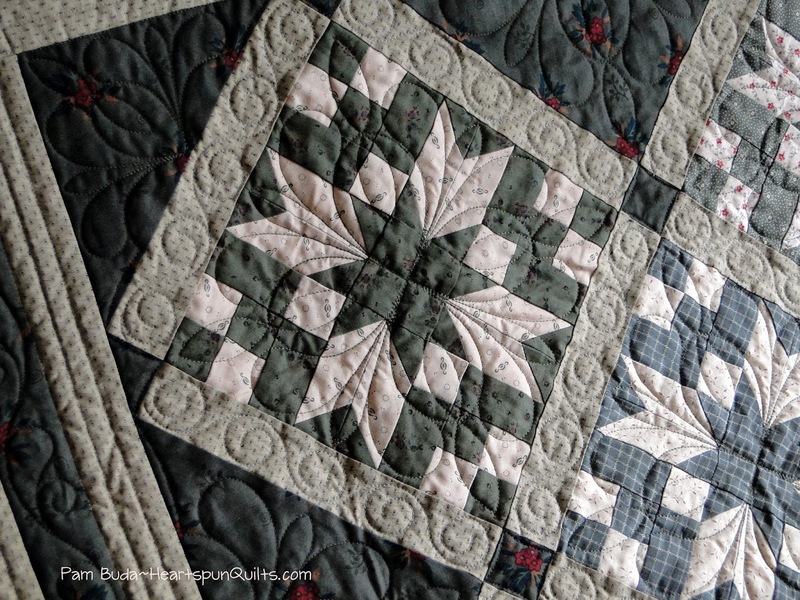 I'm sure you'll find all kinds of stuff posted showing loads of quilting goodies to inspire and tempt you. Me, too!! Enjoy your day, and spend some time with needle and thread. Hooray!!! At long last, the new Tokens of the Past: Two Color Classics pattern is ready to go! Geesh....it seems like it took so long to complete. The quilts have been finished for weeks. During pre-market time, there's a lot of work for photographers and graphic designers all helping pattern designers to get their work done. Good things come to those who wait, right! Well....we don't have to wait anymore, and I could not be happier to say it's ready to ship! 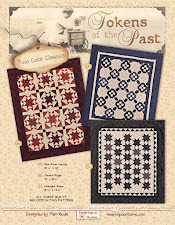 Click here to order the Tokens of the Past: Two Color Classics pattern. Believe it or not, this is the eighth pattern in the Tokens series!! They have become a best seller, thanks to you!! 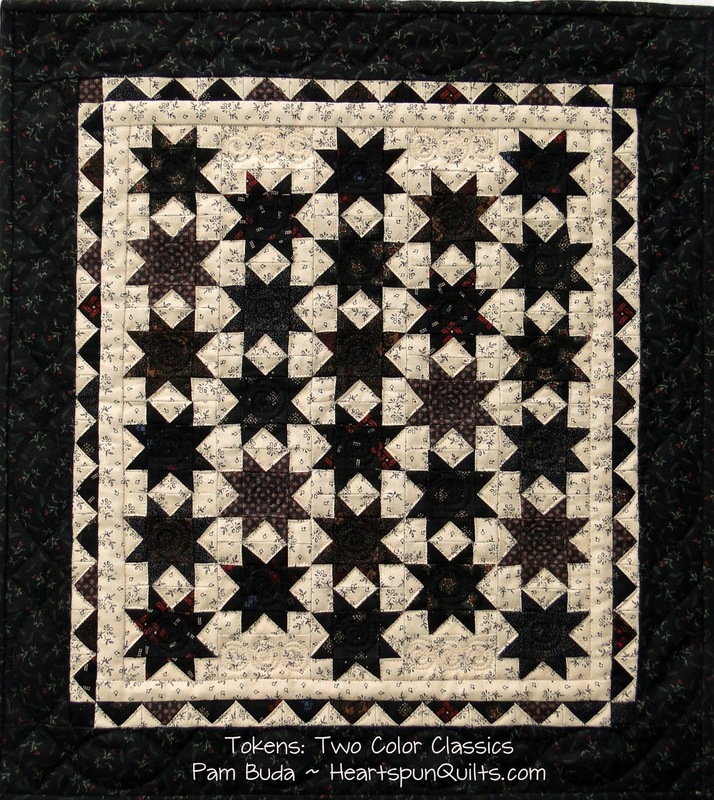 A limited number of kits are available for Midnight Stars with exactly the same fabrics as you see in the photo above, and includes the backing fabric! The fabrics are a mix of black prints I have designed from many collections for Marcus Fabrics. 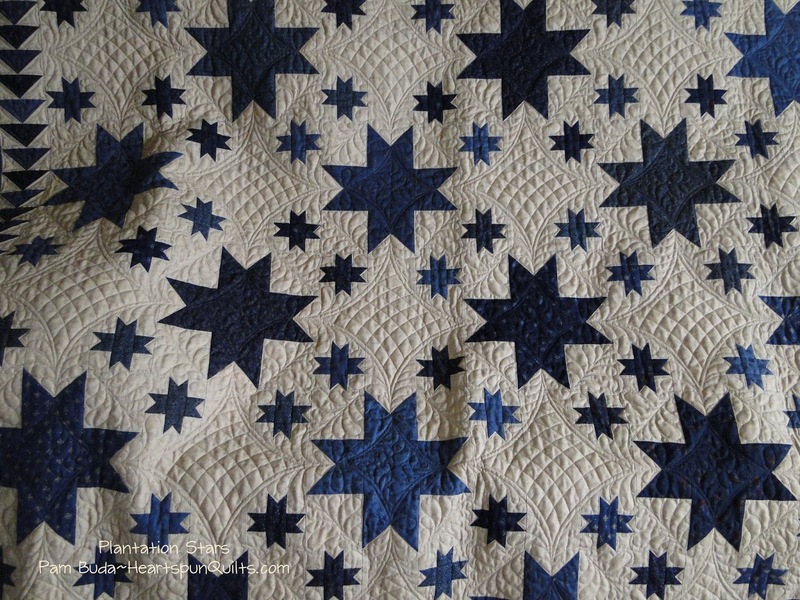 I love a simple Sawtooth Star and a little tweak to the setting gives the center a whole lot of interest. 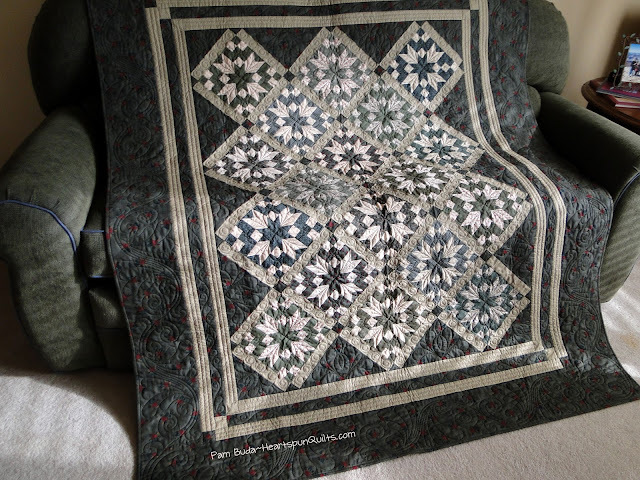 I finished it off with a graphic Flying Geese border. Quilt size is 15 1/2" x 17 1/2". 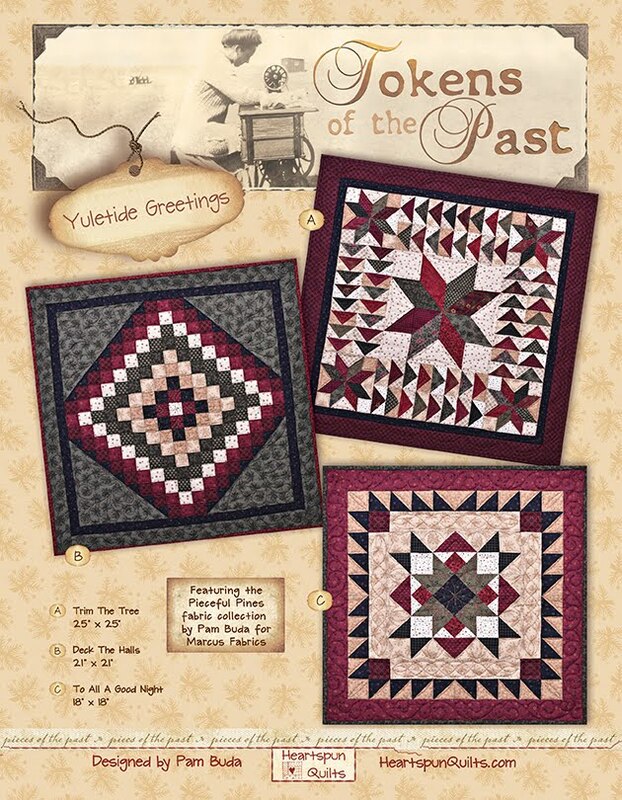 A limited number of kits for Sunset Ridge are also available featuring a variety of red prints from many of my fabric collections for Marcus. (This photo is much darker than it really is. Grrr!) Quilt size: 13" x 16 1/2". Soon, I will have kits for Blue River County, the blue quilt seen on the Two Color Classics cover. Did you know that no matter how much you order on my website, you'll never pay more than $8.95 for shipping?!! Wait no more! Order yours today!!! Yay! I wanted to mention that I will be appearing in the Bloomington/Normal, IL area the first week of November, visiting the Hands All Around Quilt Guild. Thursday, November 2nd is the lecture at 7pm, at the Mennonite Church of Normal, 805 S. Cottage Ave, Normal, IL. So jazzed that another new pattern is finally complete and ready to go!! Yay! Introducing Rebecca's Thimble. 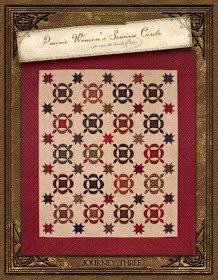 Scrap Lovers are gonna love this pattern because the more scrappy prints you include, the better the quilt will be. More fabrics are always better, right? Made in two color options, in two sizes, with options for borders....or not, this is one versatile pattern. The blue version is the smaller quilt, and I added borders. 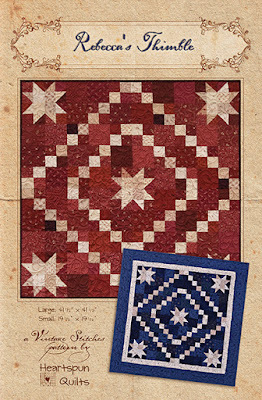 As shown, the quilt measures 19 1/2" x 19 1/2". 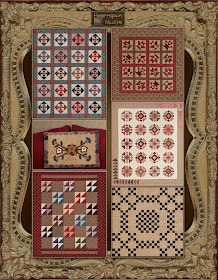 The red version is the larger quilt, and I chose not to add borders as I really love the quilt center just the way it is. 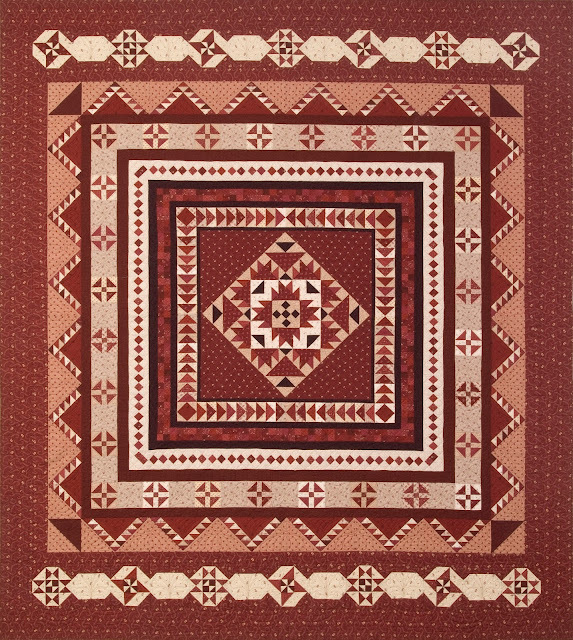 As shown, this quilt measures 41 1/2" x 41 1/2". Decisions, decisions! Nice to have choices though! 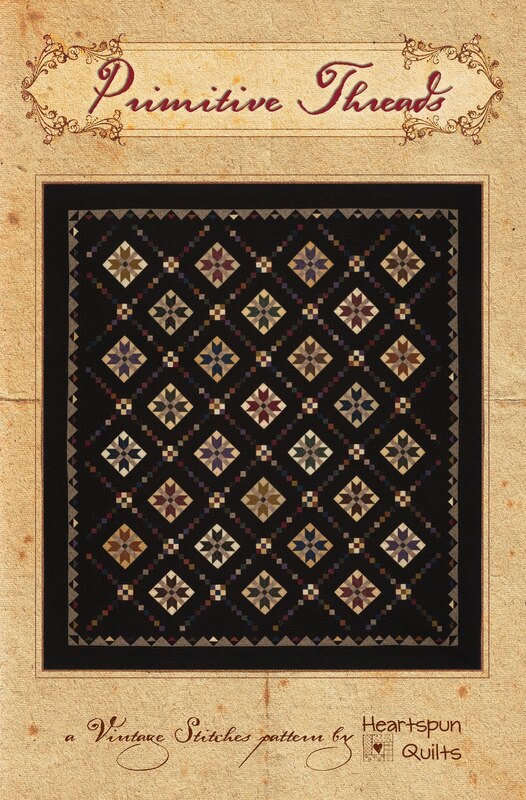 If you're like me, why not make several quilts in different colorways? 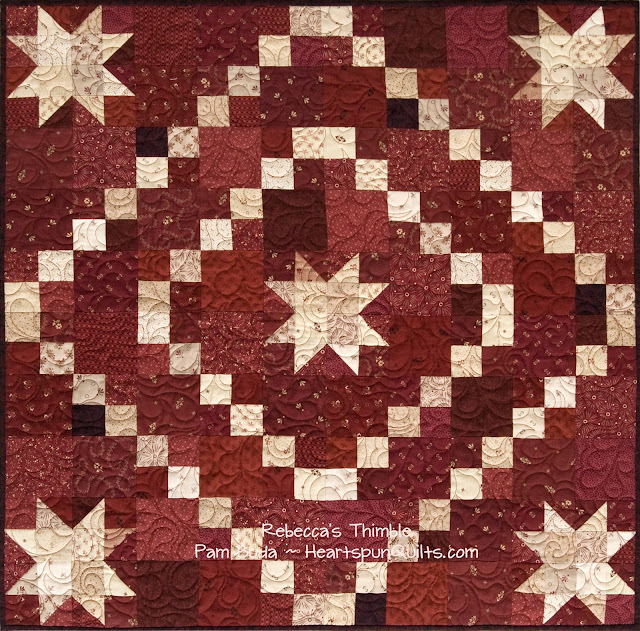 My new Rebecca's Thimble pattern is ready to ship. Market prep goes on each day and I feel I'm making progress. My newest Tokens of the Past pattern, called Two Color Classics is nearly complete, I'm binding Plantation Stars in the evening while I watch TV, and my Tall Grass sample yardage just arrived this morning. So...we will dig into all of that fun stuff this afternoon. I think I need to learn to sew while sleeping.